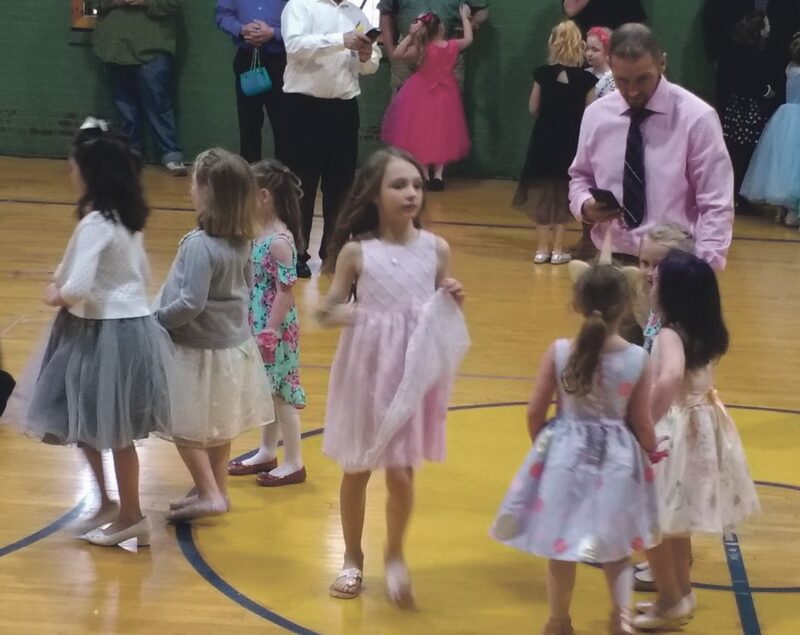 Times Observer photos by Lorri Drumm Warren Area Elementary Center students and their “dates” attended the first Daddy-Daughter Dance held at the Warren Area Student Union on Friday evening. Jared Amoroso coordinated his attire with four dates (Isabelle, Sophia, Gabriella and Mackenzie) for the first Daddy-Daughter dance held on Friday evening at the Warren Area Student Union. 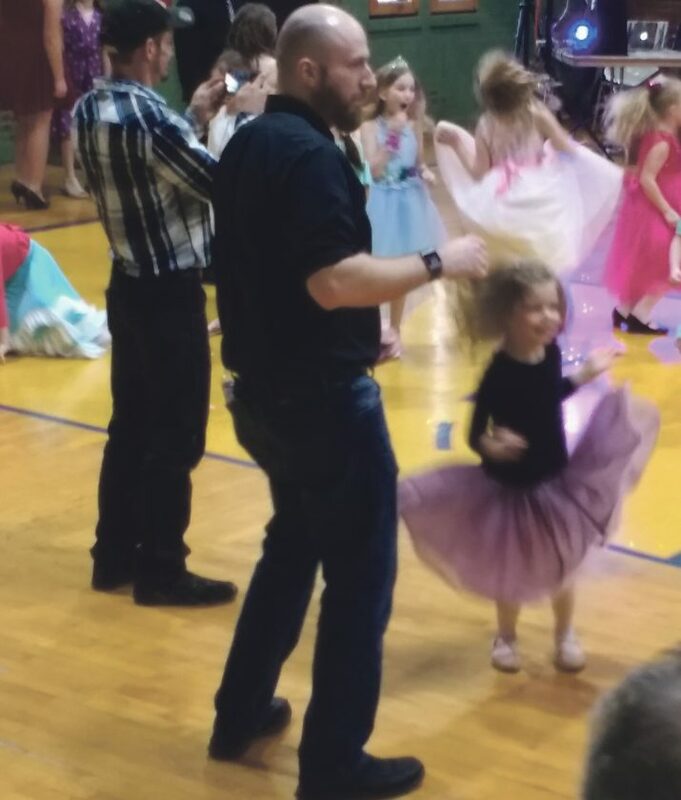 Joe and Reagan McClellan show off their moves at the first Daddy-Daughter Dance held at the Warren Area Student Union on Friday evening. Photo contributed to the Times Observer Drumm’s daughter, Dana, sits on the lap of what appears to be more of a “Wascally Wabbit” than an Easter Bunny. Costumes have evolved but often kids continue to have a look of uncertainty as they pose for family photos that could be published in a newspaper someday. 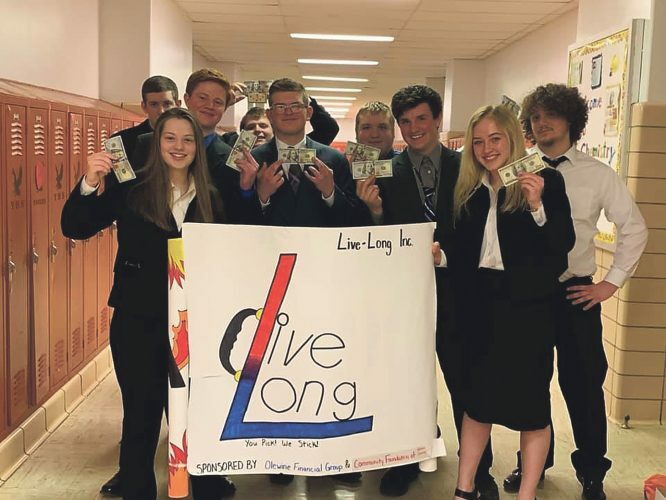 Men decked out in snazzy attire and young girls all dolled up in their best dresses, and even some princess gowns, lined up outside the Warren Area Student Union on Friday evening for a first-ever event. Once inside, the attire didn’t matter. 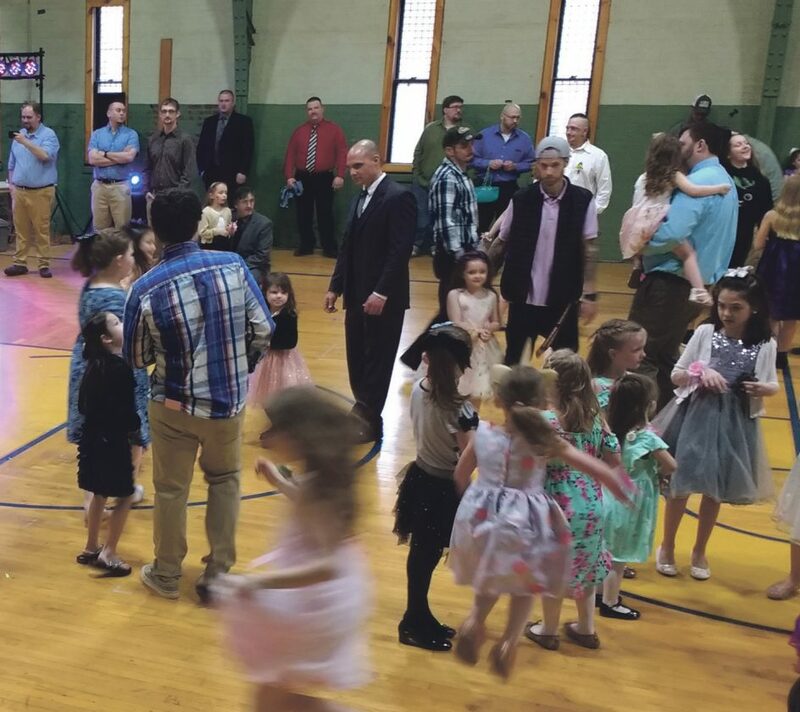 The lights were flickering and everyone had on their boogie shoes at the first Daddy-Daughter Dance held by the Warren Area Elementary Center. Jared Amoroso one-upped some of the other dads as he brought four dates to the special night out. Amoroso even coordinated his pink shirt to match the light green and pink dresses worn by Isabelle, Sophia, Gabriella, and Mackenzie. 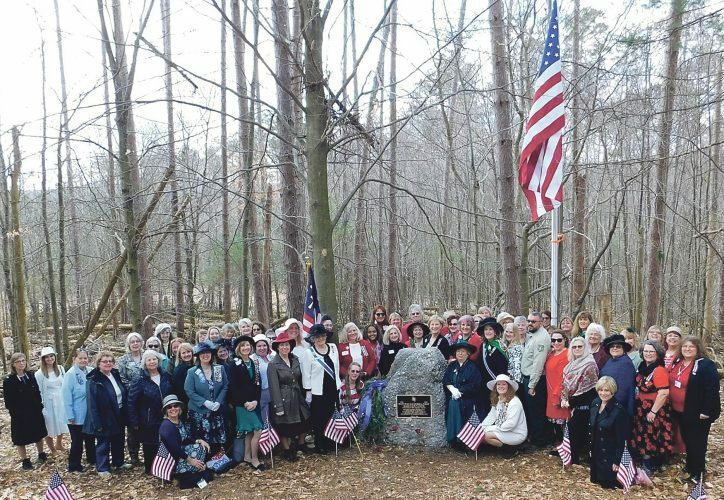 “They were all excited when they saw I wore the pink shirt,” Amoroso said. The girls didn’t mind sharing their date. They were looking forward to dancing in a big circle. Lots of young dancers chose to form dance circles, while some of the dads kept an eye on them from possibly the same wall they lined up along back when they were in school. There were lots of dads who couldn’t wait to show off their skills with their dates, too. Joe and Reagan McClellan didn’t waste any time hitting the floor. They held hands and stepped back and forth and then Reagan let go and spun around. Just a quick straighten of her skirt by dad and they were right back at it. McClellan theorized that some dads weren’t quite as eager to get out on the floor because the lights were on. 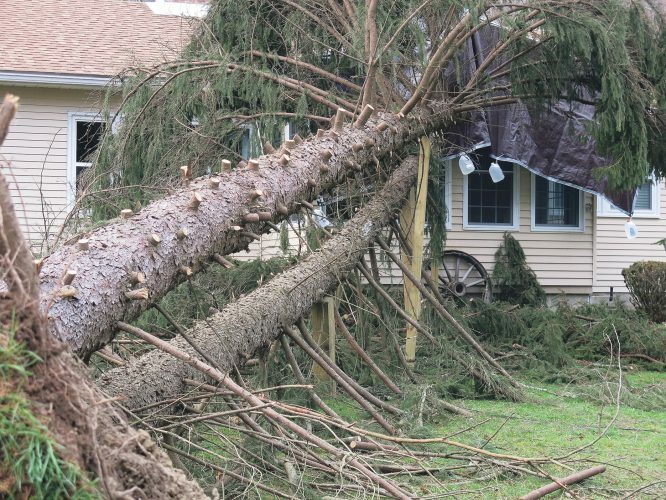 “Some dads are just waiting for the lights to go down,” he said. Besides, in the event that anyone had two left feet or just wanted something else to do, there were plenty of choices — face painting, photo ops, and just plain kidding around for both daughters and dads.